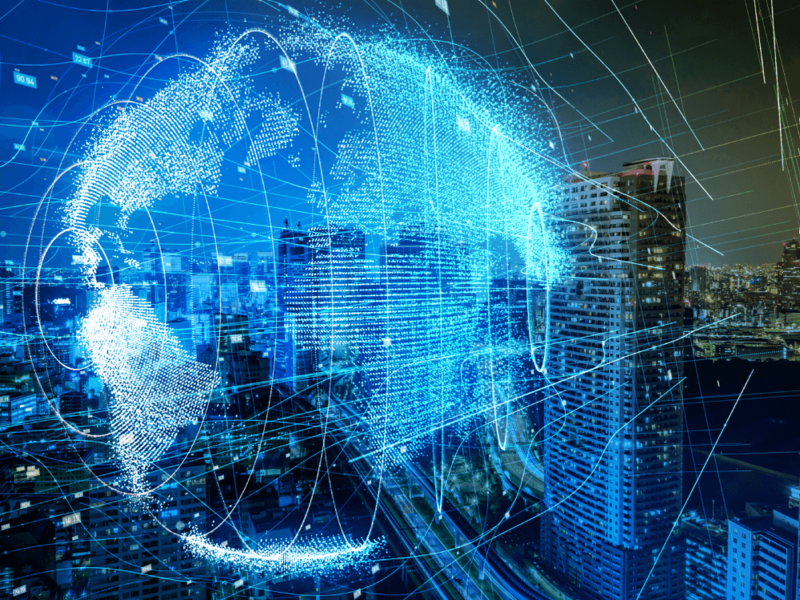 As described in the Intel IT Annual Performance Report, “Driving the Digital Enterprise Transformation,” IT organizations play a crucial role in driving their company’s digital transformation. As director of Intel’s Corporate Data Office, I have seen first-hand how a data strategy is foundational to IT’s role in digital transformation. A Corporate Data Office (CDO) is becoming far more common in all industries, as enterprises increasingly realize that data is more than a potential risk to be managed. Instead, data is a cardinal corporate asset. At Intel, we’re driving toward a vision of a data-first mindset, which means coordinating our efforts to centralize how data gets collected and leveraged across all of Intel’s business. This is a big effort for Intel IT, and we’re making great progress. Digital transformation is all about artificial intelligence (AI). We like to say, “No data, no AI.” Whether it’s helping create a modern workplace, developing new products and services, engaging customers at a new level, or optimizing decisions in the supply chain—it all requires data. Our goal is to transform Intel’s corporate data so that anyone at Intel can use a standard set of APIs to quickly access information. It’s about velocity and being able to advance our game much faster than we have in the past. A unique aspect of Intel’s CDO is that we see it fulfilling three roles that together create great business value. These roles are “CDO as Innovator,” “CDO as Enterprise,” and “CDO as Business.” Let me explain a little bit about each of these. This role is about managing Intel’s data assets similar to “block and tackle” as a system to lift heavy loads. Whether it's architecture, or data dictionaries, or governance, or APIs—CDO as Enterprise is making sure that our data is in a state where it's available and useful to people. Community. We want our people to really understand analytics and AI. We’re building a community of excellence, and using that to bring in talent and acclimate it. We can hire data scientists, machine-learning engineers, and data engineers and then they can gravitate to a particular business unit at Intel. We expect our AI staff not only support Intel’s current core products, but also think outside the box to help develop new products and services. Common infrastructure. We want everyone at Intel to be able to collectively innovate, and add velocity to AI initiatives. The vision is an infrastructure that supports everyone sharing data, algorithms, models—and most important—key learnings. So, CDO as Enterprise is really about collective innovation. How do we break down the silos between all of Intel’s business units, so they can collaborate? We expect that this will drive great velocity in our ability to deliver solutions. If that seems a tall order, it is. In our experience, some crucial ingredients must be in place to reach these goals. These include a data dictionary, a canonical data model, and logical data models. And then a “gold standard” for data needs to be created—a single trusted source of truth that is certified and watermarked. This role is about decision making—how can IT, using data and AI, help Intel’s business units make better decisions? To this end, we are using AI and data to enhance Intel’s products and manufacturing processes. This can include actually changing silicon products for the better, or revolutionizing how we build test validation routines in the factory, or providing insights that allow a business unit to make critical decisions such as what to test. Again, it’s about collectively innovating to do better. As our digital transformation matures, we are now looking at manufacturing data (the machine data that is produced by all of Intel’s factory equipment). This can help generate insights about preventative maintenance, for example. Another exciting example, where there’s plenty of work to do, is in the computer vision space. Intel is working on emulating human vision in applications and solutions with the Intel® Distribution of OpenVINO™ toolkit, and is actively involved in the OpenCV* project. As a result, there's all these public data sets that we're acquiring that we need to build the camera systems. These data sets are a gold mine of data—and the CDO as Innovator is the mining company. This role is about generating revenue by monetizing data. We are working to develop new streams of revenue driven by data. There's a tremendous amount of opportunity in all kinds of different areas to use data and analytics and sell insights. We've got some really interesting efforts going on right now that are producing revenue. For example, in our sales area we're doing some things with AI to provide sales assists—and we are working toward an autonomous sales agent. We're also doing a number of things in healthcare, clinical trials, and big pharma that are all producing revenue today. Plus, we're driving huge value numbers—billions, not millions—enhancing Intel’s products and doing a better job in our manufacturing world. A watermark stored in a data file refers to a method for ensuring data integrity, which combines aspects of data hashing and digital watermarking. John Botkin, General Manager - Product Planning to Deliver Group at Intel. Previously, John was the Director of the Corporate Data Office responsible for managing Intel’s data assets, delivering insights to the business to improve decision making, and generating incremental revenue. Since joining Intel in 1992, John has held numerous leadership roles in IT including world-wide human resources, Intel’s custom foundry, mergers and acquisitions, supply chain roles in divisional and factory planning, logistics SAP transportation and warehousing systems, plus manufacturing capacity and components planning. He also led the development of Intel’s first enterprise long range planning capabilities. John joined Intel as one of the first Certified Banyan Vines network specialists in the US. Prior to Intel he worked for the FDIC’s Resolution Trust Corporation as a network engineer and established the second largest computer network in the world. John resides in Arizona with his wife and enjoys international travel, hiking and exploring the northern mountains of the state.